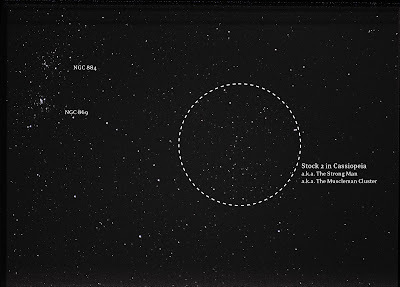 I had no idea what Stock 2 meant when I read it on the December observing list. 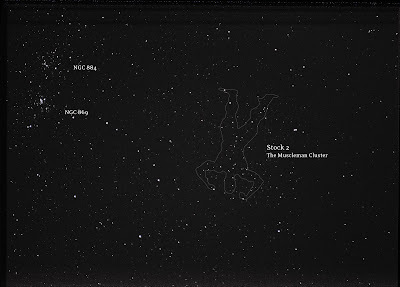 When I looked for it on Stellarium it wasn't there, so I did a Google image search and found some observing sketches of a cluster near the Double Cluster. 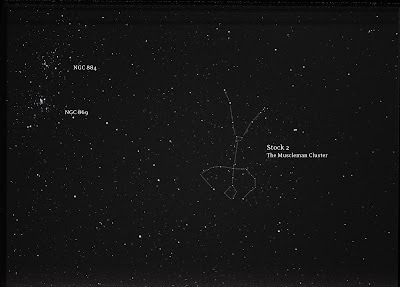 Following the arc of stars coming off of NGC 869 I started to see what was described as a stick figure with arms up next to its head flexing. 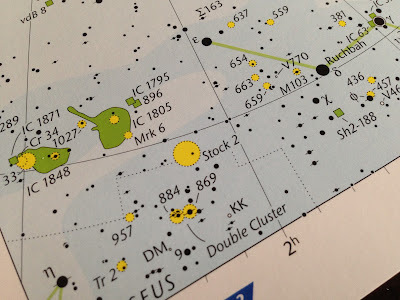 People see different things in the asterism, but since I enjoy weightlifting, I'm going to support the name "Muscleman Cluster" coined by John Davis (as told by Phil Harrington). 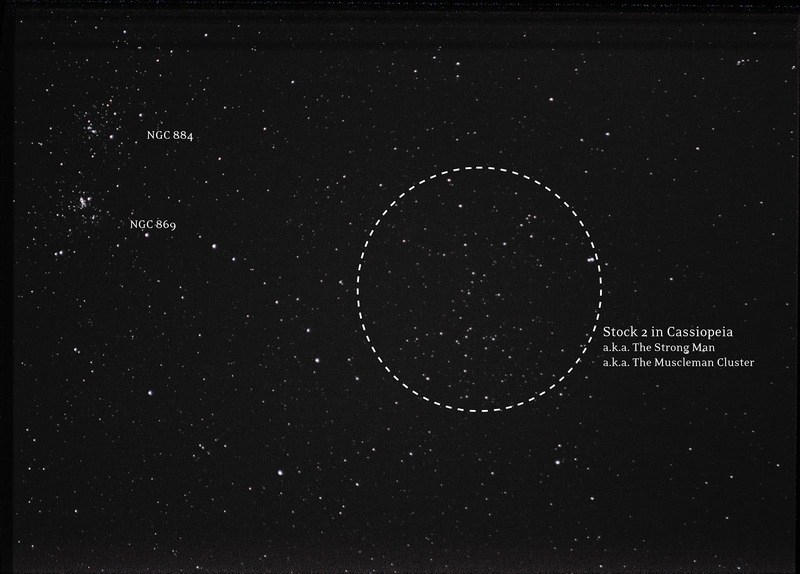 Stock 2 sounded like a strange name at first. It's actually part of a catalog of open clusters and Stock 2 is the second object out of 24 in that catalog named after Jürgen Stock. 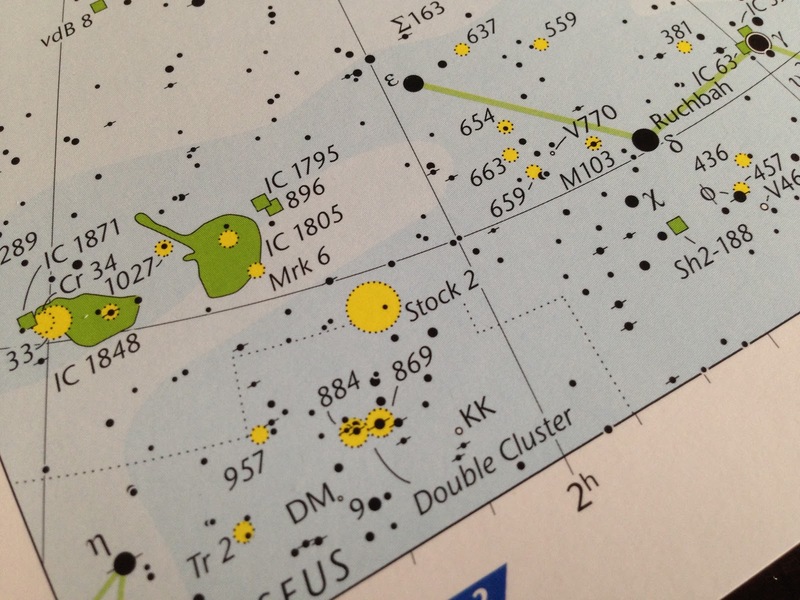 The Double Cluster with line of pointer stars makes Stock 2 relatively easy to find if you go looking for it. 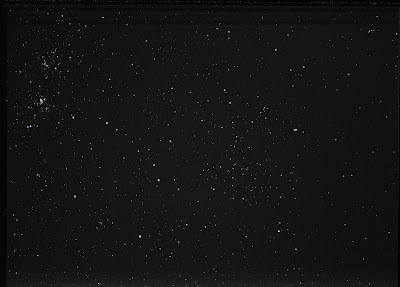 It's also called the Strong Man or Muscleman Cluster because it resembles a stick figure in the double bicep flex bodybuilding pose. 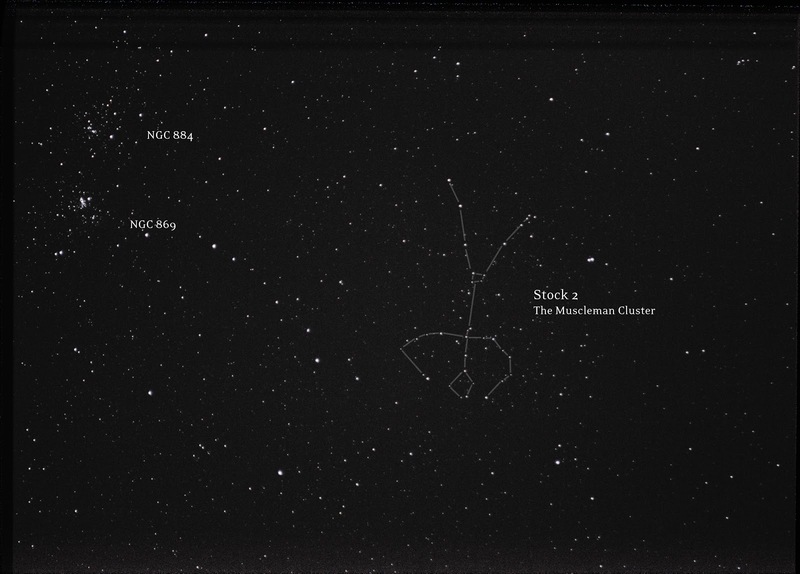 Here is my interpretation of the Muscleman Cluster asterism, with a little trapezoid for the bodybuilder's banana hammock. An outline of the bodybuilder in the Muscleman Cluster.